JDC - Archives : Interior of washroom in dormitory at the Felix Warburg Colony. 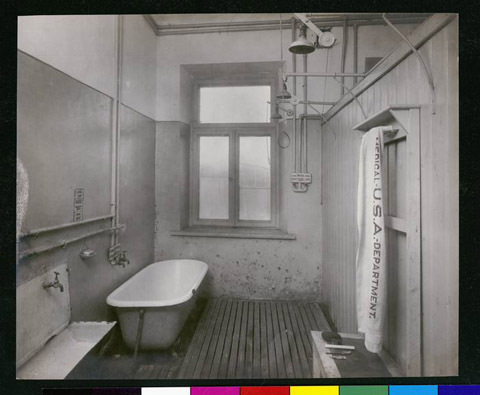 Title Interior of washroom in dormitory at the Felix Warburg Colony. Description Medical U.S.A. department written on the towel.